Is 2014 a Good Year to Sell? National existing-home sales are down, but the market still suffers from a lack of inventory, so homes that are on the market are being sold in record time for record prices. 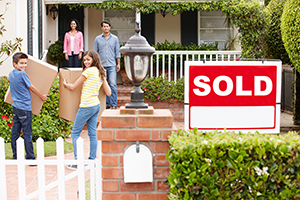 In short, 2014 is shaping up to be a good year to sell a home. Not only did January's existing-home sales drop 5.1 percent from December, they fell 5.1 percent from January 2012. One of the contributing factors to the slowdown is nothing any policymaker can control: weather. According to economists with the National Association of Realtors, a harsh winter kept many home buyers from browsing the market. Better spring weather should lead to a slight increase in sales. But those policymakers should note that other reasons for the slowdown can be controlled, namely tight credit, higher mortgage interest rates, and the ongoing shortage of inventory. In January, the median existing-home price was $188,900, 10.7 percent higher than the same time last year. What's more, every region of the country recorded higher sales prices than a year earlier. In the Northeast, prices were 6.6 percent higher than January 2013; the median sales price of a home reached $241,100. Prices climbed by an even higher percentage in the Midwest, where the median sales price of $140,300 was 7.6 percent higher than a year ago. In the South, the median price was $161,500, up 9.4 percent from January 2013. And while the continuing lack of inventory is hampering sales in the West, it is also leading to a staggering increase in housing prices. The median price of a home in the West reached $273,500 in January, up 14.6 percent from the same time last year. In January, "Sold" signs replaced "For Sale" signs in record time. The median time on market for a home in January was 67 days; this is a marked decrease from the 71 days it took to sell a home in January 2013 and the 99 days on market in January 2012. When taken on a year-by-year basis, homes sold at a pace 29.5 percent faster in 2013 than in 2012; the median time on market for 2012 and 2013 was 71 days and 50 days, respectively. In mortgage news, home affordability is still high as mortgage rates hover near historical lows. But rates have risen close to a percentage point above the record lows posted last year. And the climb is expected to continue; both the National Association of Realtors and the Mortgage Bankers Association project rates will be at or above 5 percent by the end of 2014.